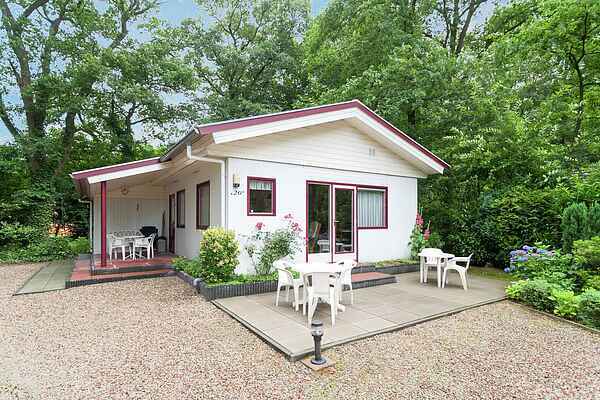 This detached bungalow is located on a holiday park in Eibergen in Geldern in the Achterhoek and near the German border. The holiday park offers numerous facilities, such as 2 heated swimming pools, a playground, mini-golf, sports fields, billiard tables, restaurant, snack bar, jeu de boules court, cycle hire and a stable 200 metres away. There is also a recreation team on hand during all school holidays. The green landscape of the Achterhoek is perfect for lovely walks and cycling excursions through meadows and forests. On the river de Berkel you can take a canoe trip. The centre of Eibergen is 4 km away and has a varied selection of restaurants and terraces.